Experience Matters and Our Amazing Crew Has It. An amazing crew has to have a strong leader. Raised in Santa Barbara, Ken has been sailing since he was three years old. His first experience on the water was with his father, crewing on a Geary 18. Later he raced his own 8′ Sea Shell dinghy (similar to a Sabot) and then made the jump to racing Lasers. At that time he was one of the top 10 picks on the West Coast to train for a week in Lasers at the Squaw Valley Olympic Training Center. • Competed in Trans Pac (a race from California to Hawaii) five times and raced to Mexico more than 20 times. 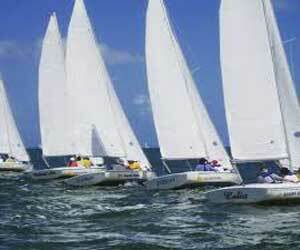 • Skippered Team California in the Tour De France Yacht Race. • Winner of the MORC North Americans while racing the custom Nelson/Merek 30, Cowboy. • Won the J24 Pacific Coast Championships helming his own J 24. • Kenny has raced and won on many 70 foot ultra-lights as well. He is a 3rd generation Santa Barbara Yacht Club member. His grandfather, Ray Kieding, was the founder of the Santa Barbara Sea Shell fleet, and Kenny spent numerous summers coaching members of the Santa Barbara Youth Foundation. Ken is the President and owner of The Chandlery Yacht Sales. He actively coaches clients in all aspects of sailboat ownership, including cruising, racing, yacht maintenance and upkeep. He is frequently hired to optimize racing boats to achieve their maximum performance within any given class. In his free time, he enjoys tinkering with his East Coast lobster boat and being with his family on the waterfront. If you would like to contact Ken directly, kkieding@chandlery.com. Throughout the 70’s he worked offshore for General Oceanographics and also in the abalone industry on the Radon 24 Blue Max with the late John Gill. Currently, he owns and operates Setag Construction, builder of The Santa Barbara Maritime Museum and the Endless Summer Bar and Grill in the Naval Reserve building at the Santa Barbara Harbor. 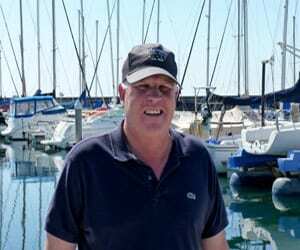 Jon has been a member of the Santa Barbara Yacht Club since 1996, serving on the house and grounds committee as well as assisting with many race committees over the years. He has also served as Treasurer of the Santa Barbara Youth Foundation. He volunteered for the high school sailing team during his son’s high school sailing career. He volunteered for the high school sailing team during his son’s high school sailing career. Jon also served on the advisory board of the Santa Barbara Maritime Museum. Jon also served on the advisory board of the Santa Barbara Maritime Museum. 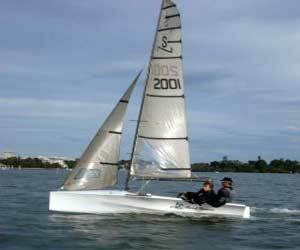 Jon has fun on his 36’ sports fisher powerboat and a couple of high-performance Australian NS14 sailing dinghies. Jon can be contacted at jjorgensen@chandlery.com. Krista Kieding grew up in Kansas which, remarkably, did not deter her parents from owning and sailing a 16-foot Hobie Cat….albeit on a small lake! 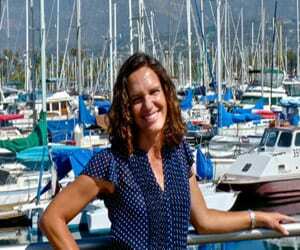 Krista made a move from Kansas to California to attend college and graduated from UC Santa Barbara with a degree in Psychology — something she sometimes finds useful in the negotiation phases of the yacht brokerage business. She now brings over 20 years of financial, marketing, customer service, and project management experience to Chandlery Yacht Sales and loves to ensure her clients’ boat buying experience is efficient and enjoyable. Outside of work, Krista enjoys running, reading, and anything having to do with the ocean. She and Kenny have been married for over 17 years and have two daughters, Paige and Carly. They are delighted to call Santa Barbara home and enjoy all the community has to offer. 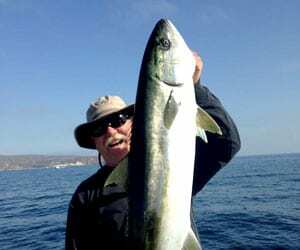 Arthur McNary is a lifelong boater who grew up and learned to sail in Ventura, California. 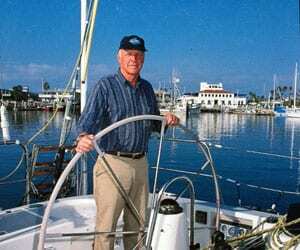 He started out sailing dinghies and quickly moved on to race larger boats throughout Southern California and Mexico. Loving sailing and all things boats, he started working as a rigger for Ventura Yacht Sales. Later, Arthur moved to Santa Barbara and started working as a yacht salesman. 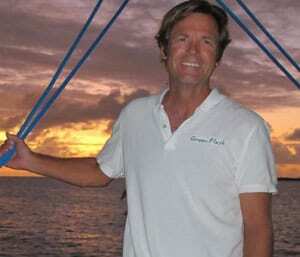 He moved on to be the controller at another Santa Barbara Yacht Brokerage as well as Pinnacle Yachts Yacht Builders. In addition to helping our clients find the perfect boat for their needs and lifestyle, Arthur owns Green Flash Charters, offering charters along the Santa Barbara coast. He and his wife have run well over 100 charters. The ocean truly is Arthur’s home. Arthur holds a USCG Master 100GT captains license. He has over 10,000 ocean miles of experience. He has sailed throughout California, the Channel Islands, Caribbean, Bahamas, Mexico, South and Central America. Arthur has raced extensively and has been part of many successful racing programs. In his spare time, Arthur loves to play guitar, write music and perform island inspired original instrumental songs. BTW… you can listen to his music on his own Pandora channel, Amazon, and iTunes. With his lifelong boating experience and years of owning a wide range of boats, Arthur offers a valuable resource to our clients helping facilitate a great boat ownership experience. Arthur can be reached at amcnary@chandlery.com. Bill first started sailing with his father on their “snowbird” at 10 years old. Although his Dad didn’t know how to sail, they both watched other sailors until they got the hang of it. Bill has also delivered multiple boats, both power and sail, to Hawaii, Mexico and various places on the west coast. An entrepreneurial spirit overcame him in ’83 and he decided to open a sailing school and charter company in Long Beach teaching beginning, intermediate, advanced, cruising and navigation classes as well as racing technique and theory culminating in racing as crew in the Newport to Ensenada Yacht Race. Many of Bill’s students have gone on to purchase racing and cruising boats. Some have sailed all over the world. As you can tell, Bill brings vast knowledge to our clients, enabling them to achieve their wildest dreams. Bill can be reached at billybench101@gmail.com. Brian Green is a native Santa Barbarian, graduate of Santa Barbara High School, and life-long sportsman, surfer, racing and cruising sailor. Brian’s expertise in boats and the Santa Barbara Channel will help you enjoy your boating time in Santa Barbara for sure. If you would like to contact Brian directly, his email is 2cbgreen@cox.net. President of the Santa Barbara Youth Foundation, Chairman of the Junior Rowing Program for the 1984 Olympics. Chairman of the Junior Rowing Program for the 1984 Olympics.Trustee of the Santa Barbara Museum of Natural History. Trustee of the Santa Barbara Museum of Natural History.President of the Santa Barbara Semana Nautica Summer Sports Festival. President of the Santa Barbara Semana Nautica Summer Sports Festival.Primary founder of the Santa Barbara’s popular Maritime Museum. Primary founder of the Santa Barbara’s popular Maritime Museum. If you would like to contact Bob directly, email him at bkieding@chandlery.com.